So I had to wait until Ben left work to do this because he’d strangle me with his furry gorilla paws if he knew that I was preparing him a BIG BIRTHDAY SUPRRISE. 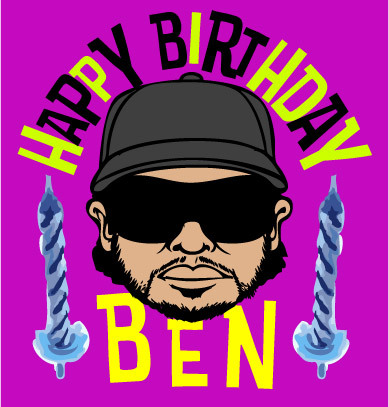 Ben turns 16 today so to commemorate this special occasion, I made some Sweet Sixteen Benbuttons. You can use them as your instant-messenger or messageboard icon, or post them on your friend’s Myspace pages, or you can print them out and scotchtape them to your forehead. They’re fun, they’re kooky, and they’re gonna get me punched in the face tomorrow morning! !